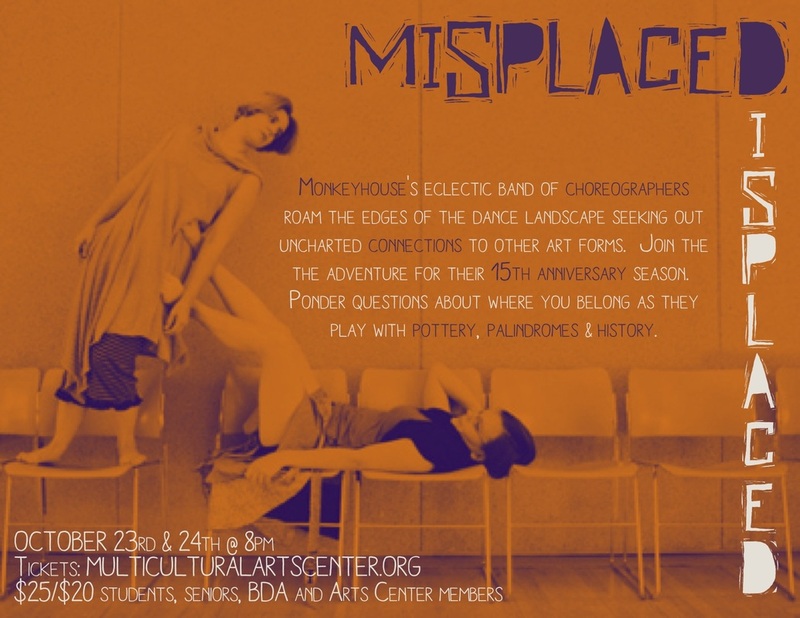 Monkeyhouse's eclectic band of choreographers roam the edges of the dance landscape seeking out uncharted connections to other art forms. Join the adventure as we return to the Multicultural Arts Center for their 15th anniversary season. We'll ponder questions about where we belong as we play with pottery, palindromes and history. Featuring collaborations with Barry Duncan, Cynthia Roberts, Kayla Feist, Lily Press and Simon Gerstein and choreography by Karen Krolak, Nicole Harris, Nikki Sao Pedro Welch, Sam Mullen, Sarah Feinberg and Amelia O'Dowd. Join us after the show for a Q&A led by Russell Holman of Backlight Boston and Luminarium Dance and a small reception. Want to see MORE dance? Check out the MonkeyNarium Ticket Package! 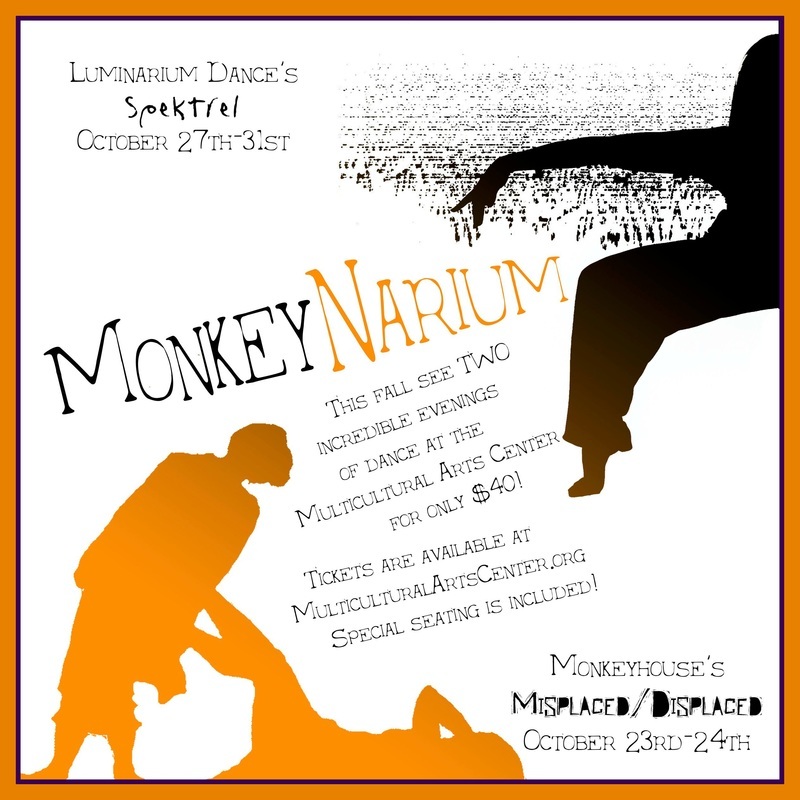 For a mere $40 you can see Monkeyhouse's Misplaced/Displaced at Luminarium Dance's Spektrel the following weekend. Special seating included!